Saturday, 29 June 2019 from 5:00 PM to 9:00 PM + Add to calendar29/06/2019 17:0029/06/2019 21:00Australia/SydneyNATHAN CAVALERI + Kristen Lee Morris in Concert at The Metropole Guesthouse for 'Metro Social' Katoomba Blue Mountains - SAT 29th June 2019NATHAN CAVALERI + Kristen Lee Morris in Concert at The Metropole Guesthouse for 'Metro Social' Katoomba Blue Mountains - SAT 29th June 2019 Saturday, 29 June 2019 from 5:00 PM to 9:00 PM (AUS Eastern Standard Time) Organiser Charity Mirow 0409042869 info@fusionboutique.com.au Address The Metropole Guesthouse, upstairs "Metro Social" Cnr of Lurline and Gang Gang Streets Katoomba NSW 2780 Australia Event web page: https://www.stickytickets.com.au/82601/nathan_cavaleri__kristen_lee_morris_in_concert_at_the_metropole_guesthouse_for_metro_social_katoomba_blue_mountains__sat_29th_june_2019.aspxThe Metropole Guesthouse, upstairs "Metro Social"
Live in Concert at the 1930's Metropole Guesthouse. Much of the country was oblivious to the career Nathan Cavaleri led beyond prime-time Australia. By age 12, he found himself the centre of a bidding war between the labels of Michael Jackson, Prince and Madonna. By age 16 he'd toured with B.B. King as his guest, and played at the Kennedy Centre in front of The Clintons with Etta James and Bonnie Raitt. In 2010, Nathan's battle with insomnia and anxiety was witnessed by thousands when he blacked out on a festival stage. Struggling to regain his confidence and drive he stepped away from his art with the expectation of never returning. Whilst the performing came to a halt, his song writing developed a far deeper level of expression with a diverse range of influences. This love of music offered him a similar type of therapy it had when he battled leukaemia as a child. Motivated by his passion to play and write, he stared down the fear of live performance and determined that it was time to make a record. His upcoming EP 'Demons' stretches beyond the traditional rock, blues and roots that Cavaleri is known for. The release of the first single 'Demons' marked his 6 year rise above mental health challenges and return to the stage. 'Rising Sun' is a track in which he pays tribute to the man that landed him his first record deal and tour at age 10, Jimmy Barnes, and is an emotive step from the profoundly beautiful title track. This will be Nathan’s first solo release since he was signed to Michael Jackson’s label in 1994 and features songs that are a culmination of the diverse life Nathan has lived. B.B.King calling Nathan “the future of blues” is definitely an appropriate quote for how he has expanded beyond his roots. 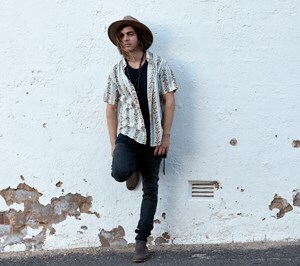 Cavaleri returns after playing sell out gigs up and down the East Coast, seeing him connect intimately with new and lifetime fans through both story and song. From how his love for music deepened during his battle with leukaemia as a kid, to a hilarious encounter with Led Zeppelin's Jimmy Page and Robert Plant after playing to sixty thousand people in Zurich after Elton John. However, it's how he brings his experiences and songs into the present that gives audiences more than a shot of nostalgia. Kristen Lee Morris has built a career on writing, singing and playing guitar in a raw and soulful fashion. It is blues music at its core but with a freedom and range that also draws on country and folk styles. From the blues masters to Chris Whitley, Neil Young to Steve Earle – you can hear it all in Morris’ special blend. 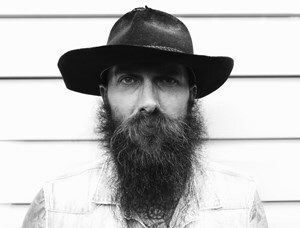 In 2014 Morris released his well-received, Kasey Chambers-produced debut album Ruins. Morris shared stages with Chambers, The Blind Boys of Alabama, Charlie Parr, and Hayes Carll before he and partner Sarah Humphreys brought their Eagle & The Wolf collaboration to life with a rich and soulful Americana album of the same name. 2018 was the year of Hillbilly Blues, Morris’ second solo album and one that eloquently encapsulates the spirit and verve of the musician and songwriter; his raw swagger and charm in full flight. In recognition of Kristen Lee Morris’ song writing, Henry Wagons chose the single ‘Cowboy’ as his local song of the year on Double J’s Tower Of Song.
. . . . . .. . . . . . . . . . . . . . . . . . . . . . . . . . . . . . . . . . . . . . . .
Cnr of Lurline and Gang Gang Streets, Katoomba, Blue Mountains NSW 2780. The upstairs performance space in the lounge is on the first floor. Access can be made up the stairs if entering from the front or via the lift at the back of the hotel through the atrium. *This is an intimate capacity venue and tickets are strictly limited!